Rugs are great and add beauty to any house. They also make hard floors look and feel warmer and break up large expanses of carpet but you should be aware of the damage a rug can do to the carpets its placed on. Many times I go to a house to clean a carpet and the householder pulls back a rug to reveal a carpet a very different colour to that I am to clean. I explain that rugs have an ability to either darken or lighten the carpet underneath and that the rest of the carpet will never be that colour. You can sometime see the look of disbelief in their eyes. 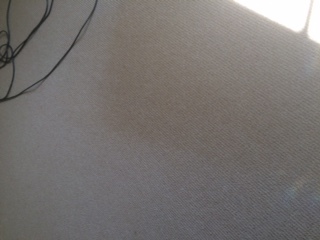 These are two photos of the same carpet. 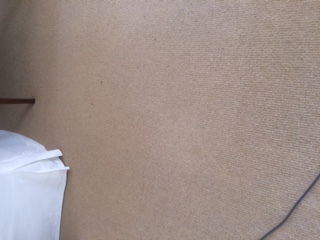 The first shows an area covered by a dark rug and the carpet has become darker underneath, The second shows ( not that clearly I know but was very clear when in the room) a lighter area where a light coloured rug had been.